Apple's Classroom app could get a whole lot better. During Apple’s big education event tomorrow, we undoubtedly will hear Cupertino’s grand plan for reshaping the classroom. Just as Apple predicted that the future of television is apps, what if the future of classrooms and textbooks is also apps? It’s time to consider what Apple’s rumored new ClassKit framework will mean for students and teachers — and what role a new, cheaper iPad could play in education. Right now, Apple is gearing up for its “Let’s Take a Field Trip” event, which takes place tomorrow at a high school in Chicago. Nobody is quite sure what to expect. While most speculation centers on new iPads (and maybe updated or lower-cost MacBooks), it’s likely that software will rule the day. Back in February, Guilherme Rambo reported a discovery in iOS 11.3 that hinted at a new Apple education framework called ClassKit. Rambo’s initial findings pointed toward a way for educational apps to gain class-evaluation features. 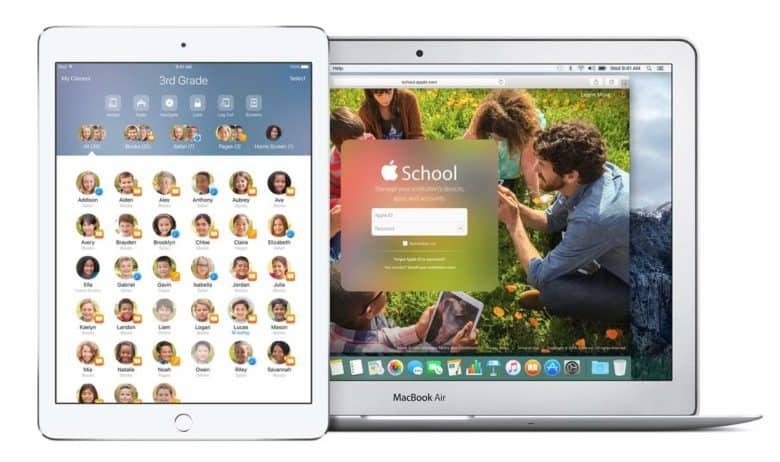 Everything would sync over iCloud, enabling teachers to administer tests with iPads. Classrooms have long been ruled by textbooks, multiple-choice tests and overhead projectors. In a world dominated by media-rich experiences on computers, tablets and smartphones, the classroom still relies heavily on analog means of learning. With ClassKit, Apple could change that. Just as HomeKit and HealthKit laid the foundations for Apple’s smart-home and health initiatives, ClassKit might integrate iPads and other devices into classrooms and curricula. In this type of scenario, apps could provide an immersive alternative to dusty textbooks. These sorts of apps exist on iOS already. With ClassKit, Apple could close the gap between exploring with an app and using an app for homework. If ClassKit is truly a framework for developers, it could mean that educational apps replace stale textbooks in the classroom. Why read about something when you can touch it, move it and interact with it? 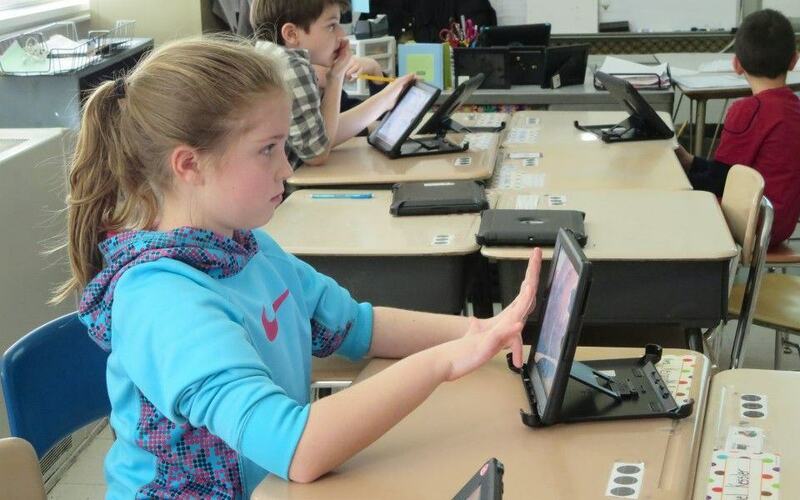 iPads have taken over this New York school. Based on this idea, ClassKit could allow teachers to assign activities inside an application. Then, they could get real-time stats on student completion of assignments, as well as quiz or assessment results. Google Classroom, Blackboard, Moodle and a handful of other learning platforms already offer class collaboration, discussion and assignment management. If Apple implements these features into its existing Classroom application, Cupertino could offer a complete learning experience. The final place we could see ClassKit integrated is within Apple’s own iWork applications. ClassKit could allow students to create presentations in Keynote, write papers in Pages or do … whatever you do in Numbers. Then students could turn assignments in to their instructors through a share sheet action. Teachers, in turn, could then provide comments or feedback on assignments, directly within the document. Education can be slow to adopt new technology. If Apple leverages its existing ecosystem of applications and services, and packages it in an easy-to-use combination of forward-looking software and more-affordable hardware, it could make it easy for schools to transition from analog to digital. Will ClassKit be the framework that changes the classroom of the future? Will Apple announce new iPads or MacBooks aimed at schools? We’ll be there Tuesday to find out. Apps already take center stage in many of our daily activities. It seems like a no-brainer that they will loom large in Apple’s classroom of the future.